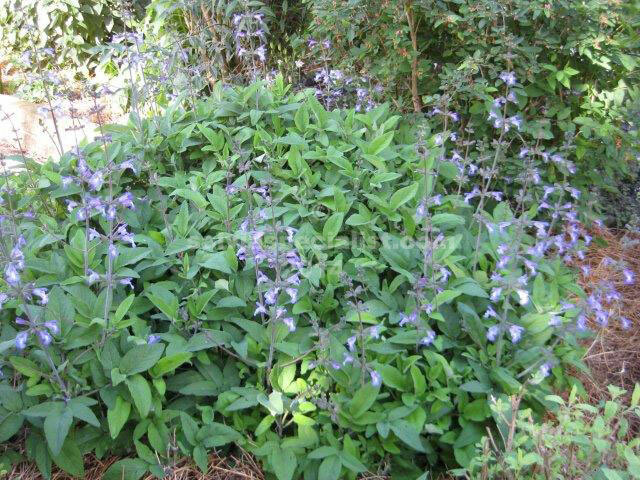 This Moroccan salvia is not so easy to grow for me as it is one of those which don’t like heat and water at the same time. 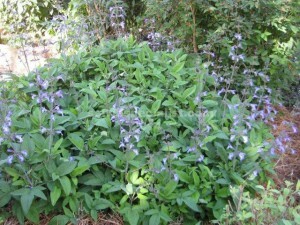 It is a very beautiful salvia with tall 1.5m spikes of mauve flowers in spring. I would not expect it to survive in warmer coastal regions. This plant is not often seen in Australia and is quite likely to be confused with ringens whose flowers are purple and foliage is also similar. When it is happy it can form a mat around a metre wide with many spikes of beautiful flowers. It is cold and drought hardy and sets large seed for propagation. There is not usually much base growth to use for cuttings. I recommend it to be grown by experienced gardeners in a dry area with cold winters.